Osteopathy can help to alleviate many types of childhood problems often stemming from a traumatic birth process. Paediatric osteopathy (including cranial osteopathy) is a gentle, non-invasive treatment that aims to find and maintain health, harnessing the body’s innate ability to heal. This involves gentle pressure to correct mechanical disturbances in and around the skull as well as the whole body. 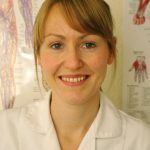 Our osteopaths, Melissa Lodge B. Ost, MScPO and Allison Lalor BSc MHSc have undergone specialist training in paediatric osteopathy and are equipped to tackle a wide range of paediatric conditions. Osteopathy is particularly effective with newborn babies, and is often of great benefit to your growing child/adolescent with all of the physical stresses and strains that come with growth and development. Not to mention all the bumps, bruises and falls of active toddlers and pre-schoolers! Pregnancy and labour is perhaps the biggest physical challenge in a woman’s life. Osteopathy can help the body to cope with the many stages of postural and physical change during pregnancy and help prepare the body for the birth process. Importantly, postnatal care is often indicated to help a mother cope with the after effects of labour and challenges of looking after a newborn as well as older children. Feeding and caring for your baby as well as carrying heavy car seats and pushing/lifting prams often puts significant strain on a post-partum body.